Nicki Minaj is spending her day airing out her ex-boyfriend Safaree Samuels. Nicki Minaj did an interview with Funkmaster Flex on Hot 97 radio this morning when she was asked about some past allegations from Safaree claiming that he helped her write her songs. 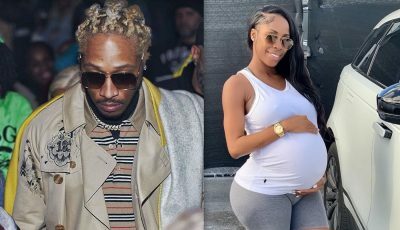 She strongly denied the allegations and in the same breath, blast Safaree while accusing him of stealing her credit cards to use to pay for prostitutes. That statement triggered a bitter back-and-forth on Twitter between the two former flames. Safaree clap back on Twitter saying that Nicki gave her a pin for the credit card to use to do all type of stuff.